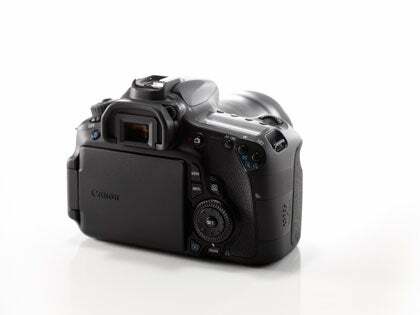 Canon’s fast-shooting mid-range consumer DSLR finally sees its upgrade today in the form of the EOS 60D. It boasts a smaller form factor, a vari-angle LCd screen and, of course, full HD video. 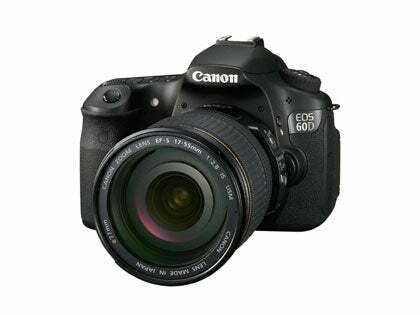 The 60D will be available from October, priced £1099.99 body only. Definition (HD) video for unique, creative results. shooting at 5.3fps in bursts of 58 full-resolution JPEGs. or for more atmospheric shooting. flash units for more creative lighting. achieve the desired composition if shooting isn’t possible using the viewfinder. viewing in bright light and from a variety of angles. own creative touch to images without worrying about changing settings. Styles including Vivid, Soft, Warm or Monochrome. as a JPEG, ready to be printed or uploaded to a PC or the web. for example – or easily smooth skin tone in portraits with Soft Focus. magnification of approximately seven times the focal length of the lens. button, preventing unintentional changes to settings mid-shoot. and remove any potential need for post-production correction. their favourite images, allowing them to be easily located and viewed on-screen. 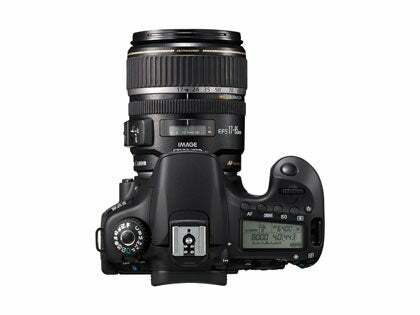 transfer content wirelessly, the EOS 60D includes Eye-Fi connected functions.